What Can a Buyer Expect From Their Real Estate Lawyer? - Warren S. Dank, Esq., P.C. What Can a Buyer Expect From Their Real Estate Lawyer? When purchasing a piece of real estate, many buyers wait to contact real estate lawyers NYC until after they have already signed a contract to purchase the property. In reality, an attorney should be consulted prior to signing any documents so they can check into the seller’s claims about the property and be present during closing. For most real estate transactions, the title work is fairly routine, but there are exceptions. Any issue with the title of a property is serious. A lack of deeded right of way, a mismatch between the calls in the deed and the boundaries established on the ground, or even a disputed ownership will require a competent lawyer’s assistance. An attorney can quickly look at the seller’s deed and title chain, looking for any disputes that the buyer should be aware of prior to going under contract. A simple title check will review all the documents recorded in a local office, where deeds are kept. After all, if you’ve decided to purchase a new construction in a lovely little community, you hardly want legal issues arising and compounding an already stressful process. That’s where a certified Real Estate Lawyer comes in, they can ease the process and assist in numerous different fields. In addition to review a property deed, here are a few other ways an attorney can help buyers prior to signing any documents. Don’t mistake a real estate attorney for a real estate agent. They should not be expected to perform a property comparison analysis or an appraisal on the property. These tasks should be completed by the real estate agent and/or financing company. Although, attorneys who have been working closely with local real estate for several years will have a good idea of the current selling prices, price trends, volatility, and current market conditions. A real estate attorney can help buyers determine the reasonability of a seller’s asking price. 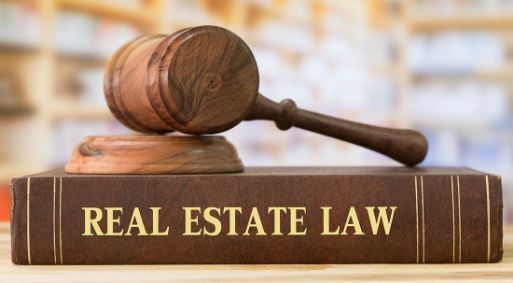 Real estate attorneys will also be able to provide recommendations to their clients regarding local lenders, brokers, agents, title companies, surveyors, excavators, local officials (building inspector, zoning office, etc. ), appraisers, and contractors. This can prove to be a valuable resource for buyers, as it can help to save money, time, and aggravation. It is not that uncommon for buyers to be shown a potential property by a real estate agent that is representing the seller. Following the showing, this same agent will then provide a potential buyer with a standard purchase-offer contract. More often than not, these standard purchase-offer contracts are skewed to favor the seller. When the buyer has a real estate attorney, the attorney can then go over the purchase-offer prior to signing. This allows the buyer to completely understand all terms and conditions outlined in the agreement before making a decision. As you can see, a real estate lawyer NYC can prove to be a valuable investment for buyers looking to purchase real estate in or around New York City. Warren S. Dank, ESQ., P.C. is a practicing real estate providing clients with confidence when purchasing a piece of real estate. If you are looking to purchase a piece of property, contact Warren S. Dank, ESQ., P.C. before you sign a contract.